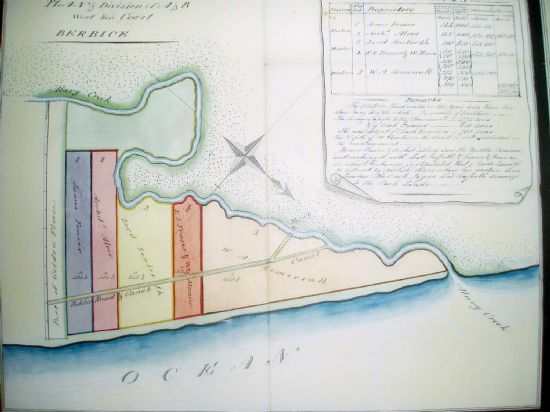 The map above shows Somersall's plantation on the Abary. Although this names the owner as 'W A Somersall', the accompanying documents make it clear that he was Anthony William Somersall. In 1817, when the first slave registers were drawn up, no person named Somersall owned slaves in Berbice.